What 'baccy did you start with? My introduction was a basket bent Dublin and Amphora red back in the mid nineties. With such an intro I switched to cigarettes pretty quickly. Only took up the pipe after I mentioned to the only other pipe smoker I see on a regular basis that I wanted to give up cigs and switch to a pipe but didn't like Amphora (one of the few pipe tobaccos available in Australia). He gave me some Escudo, GLP Abingdon and some Lane aro . I dismissed the aro pretty quickly but fell in love with the Abingdon pretty quickly, the Escudo took me a bit longer but I love it now as well as a good lat bomb here there and everywhere. Bought my first pipe in 1958/59, a small no name, off a card hanging on the wall. Tobacco was Springbok, the tobacco for all farm workers. It was awefully strong, dry as tinder and biting like a bulldog. Then a mate of mine suggested Grey Hound which was a better choice, dripping wet with perfume, could smell it a mile away. Then followed Holland House, Amphora and Borkum Riff and a Keyser pipe. Later on bought a Byford and Black & White tobacco. Then Fox, Jock, Boxer, Spies......shyte!! It's only about 8 years ago that I discovered etailers and started smoking decent stuff like Escudo, Irish Oak, OGS, Escudo, SG Navy Flake, Prairie Wind, Escudo, OJK, Bayou Morning and Escudo. I started with Lane BCA in a Peterson system pipe with a p-lip. I don't remember the shape number as I gave away the pipe to a friend. I smoked BCA for 7 years. I didn't smoke regularly, but by the time I moved on, BCA didn't smoke wet and didn't bite. The next thing I tried was OGS and the lights went on. I remember he told me to put an apple slice in the tobacco to keep it moist. Last time I ever did that. I was told that as well. I also only did that once! Peter Stokkebye Golden Dansk after being gifted my father in law's pipe after he passed away. The pipe was a no name drugstore pipe, but it smokes good. I had stopped by the tobacco shop I frequented for cigars and got a pipe lesson and tobacco. I figured it would be cheaper than cigars. It would be if i would stop buying pipes. Yeah right. I also got some coffee flavored something that day that is still sitting at the house at the bottom of my repurposed humidor. I didn't have ny AHA moment with a pipe until I bought my 3rd pipe a Radice estate straight billiard and smoked Black Shag in it. I had been struggling for about a year at that point. I see people giving that same advice about the apple slice on snuff forums. I never thought it sounded like a good idea. Must be some kind of newbie initiation. That's part of the true pipe smokers initiation into this sport !! About your TV...Back before home computers were big, my dad bought a Web-TV. It was soemthing that let you browse the web on your TV, just like it sounds. It was really slow to do anything, though, since there wasn't a keyboard. I was given a corn cob in college and then bought my first pipe on eBay: an estate Kaywoodie 13b. I smoked whatever bulk aromatic was sitting around that my friends had (I didn't smoke that much, so I wasn't a huge mooch). After graduation I got on the internet and heard about Burley and English and Virginnia, so I went to a shop and asked for some bulks. I got Burley blend (probably Lane or Altadis) as well as Altadis' African Queen and Heavy English. I disliked them at first, but something about them lured me back. It was almost like I craved them even though I disliked them (I had the same experience with hoppy beers). Well, I started to like them, and finally got some proper natural blends, my favorite of which was GLP Westminster. Funny thing is that when I get together with my college friends now, I'm the one who brings all the tobacco and spare cobs so that everyone has something to smoke! I started smoking a pipe in '72. I still have my first pipe a Grabow Starfire that surprisingly enough is a really great smoker. My first tobacco was a Paladin's cherry blend, black cherry maybe, anyway it about killed me so I tossed and waited for my tongue to heal up, which was fine as I was still in high school and needed time to save up a few coins to try something else. Next try was Rum and Maple, pretty much the same result though not as bad. I guess I had this thing about sweet smelling tongue roasting tobaccos. It wasn't until an older gent (probably younger than I am now at the time) at the factory I took a job at, after hs graduation, took me aside and taught me a few things about pipe smoking, which of course made all the difference. He got me off the aros first thing, heck I didn't know what that was until he explained tobacco basics to me, and gave me a pouch of SWR Special Mixture to try. I smoked that for the longest time in the early to mid '70s before I started to branch out and try non-drugstore brands and pretty much never looked back. Carter Hall was my first pipe tobacco when I was 16 years old. I found a prince shape pipe and a pouch lying under a tree on a small hilltop. Took it home cleaned it up with some alcohol and went at it. I'm 63 now and Carter Hall is still good. I was quite a fool and started with Three Nuns. I liked the tin and read some great stuff about it online. However i wasn't used to nicotine back then and got quite the shock, to this date i still cant bear to smoke Three Nuns, sadly. A friend of mine in middle school gave me one of his fathers cobs, a MM Washington I think. The thing had electrical tape around the bowl to fix a crack in it. And a bag of what I'm fairly sure was 1Q. Not the best experience to be honest. I got more from the old guy who ran the local pipe shop, although it had a different name as a house blend. Didn't do so well until my great uncle showed me a few tricks. Changed the whole game for me. All he smoked was half and half though. So I smoked that for some years. I started with Revelation and Capstan Blue in Ronson pipes. The tobacco was my father's, the pipes were what I liked then. It was '80 or '81 and I was in college. Good old times. I bought my first pipe when I was 16 and an ounce of some God-Awful Cherry blend. It tasted like sawdust marinated in cough syrup. Then I thought I'd get fancy and smoke Cesare Borgia Amphora which, to my way of thinking must be pretty good stuff since it came in a tin I joined the Marines a year later and took a few year Hiatus from pipe smoking. 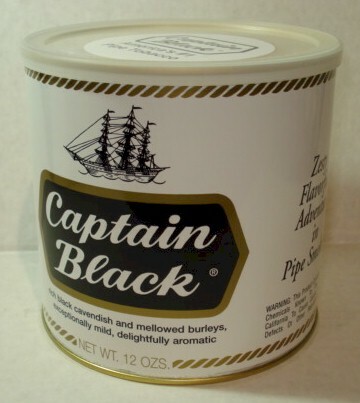 When I returned to pipes, I smoked found English blends and I was "hooked" as they say. I started with a Tinderbox blend. Wilshire. 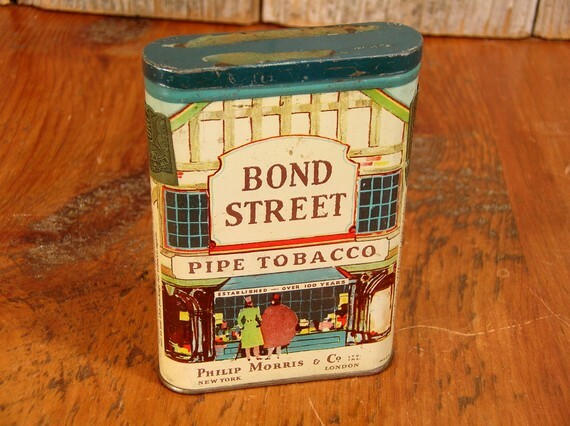 The first pipe tobacco I ever smoked was actually dottle left in the ashtray by the head of home in the last kids home I was in, that was Clan tobacco and that was back in 1980, I smoked nothing but Clan for a great many years, thankfully I know better than to smoke that rubbish these days.